Alessandro Lindblad (born July 7, 1991), commonly known by his stage name Alesso, is a Swedish DJ and electronic dance music producer. He has worked with numerous EDM (and other) artists, including Avicii,OneRepublic, Calvin Harris, Usher, David Guetta, and Sebastian Ingrosso. 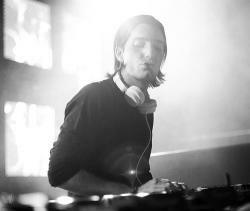 He has also performed at numerous music festivals, including Coachella, Electric Daisy Carnival, and Tomorrowland.In 2012, MTV named Alesso one of the "EDM Rookies to Watch," and Madonna, who invited him to open select dates on her MDNA Tour, called Alesso "the next big thing in dance music." As of 2014, he ranks 15th on DJ Magazine's list of the top 100 DJs. His debut full-length album is set to be released in the first quarter of 2015 by Def Jam Recordings.